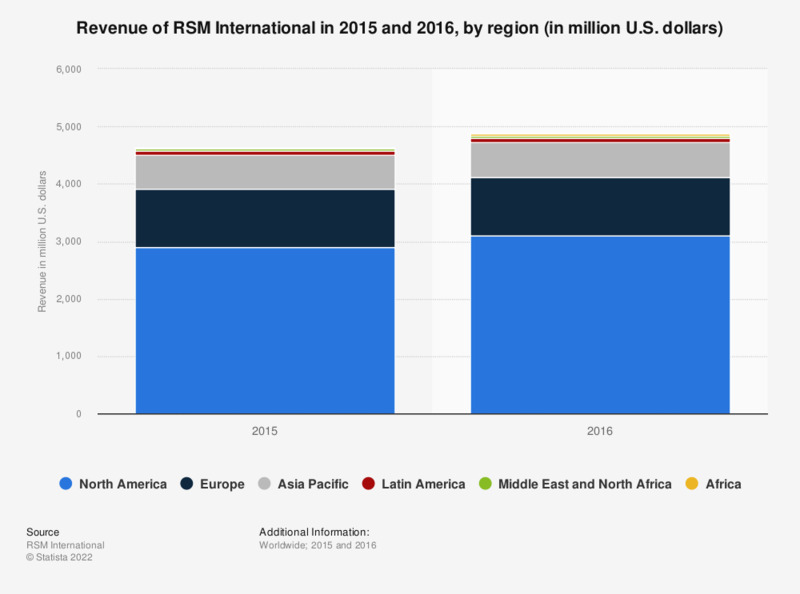 This statistic depicts the revenue of RSM International in 2015 and 2016, broken down by region. In 2016, the multi-national network of accounting firms generated 3.1 billion U.S. dollars in revenue from its North American operations. Figures are for the years ending December 31.